The Key Enabling Platform For “Trusted” Commerce In A Digital World! 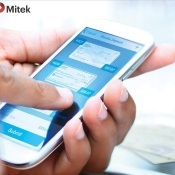 Mitek Systems (MITK, NASDAQ), a global leader in mobile identity verification and mobile deposit solutions, reported Q1 2018 revenues of $12.1 million last Thursday (up 31% yoy, and a new record). Before we take a look at the highlights from the quarter, I’ll comment on MITK’s price action and the “Big Picture”. 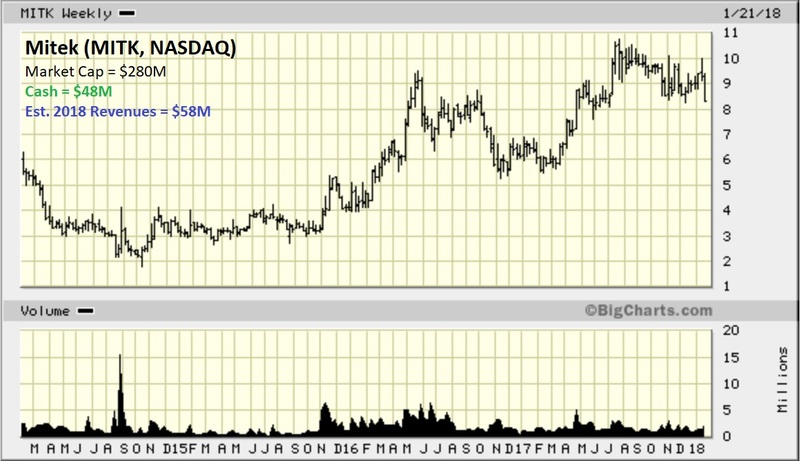 Between late 2015 and mid-2017 the stock surged from below $3 per share to nearly $11. So while it’s somewhat frustrating to see it pull back to $7.65 (support? ), when it looked poised to break above $10 a week ago, “it just is what it is”. And we may be looking at the final shakeout. As investors I think we’re comforted by having a reason our stocks move UP and DOWN. Fact is, there isn’t always a rhyme or reason for the movements (often it’s purely emotions, impatience, or personal financial reasons – nothing to do with the underlying business). One thing’s for sure – what used to be done in person is now being done online. Going forward, more and more transactions and services will be done online, not less. 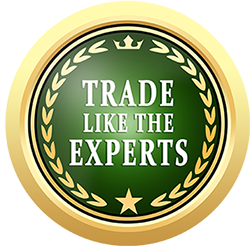 Mitek owns the key enabling platform (patent protected) for “trusted” commerce in this digital world. Therefore, Mitek has massive growth ahead of it (and its customers “NEED” the product). 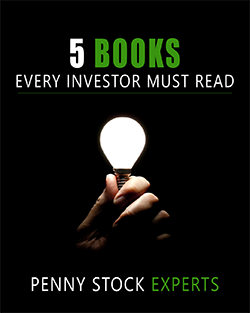 Investors and speculators often lose sight of the big picture and grow impatient. They sell something to buy something else, jumping around too much. They might be concerned because Mitek’s revenues were $0.4 million off their estimates (or Q2 will be “flat” due to tough comps), but years from now that will have been long forgotten. They might think the chart is weakening and step to the sidelines, only to join the game later. …that type of thinking and those leaders are not the ones you want to be following. Bottom line – Mitek the stock isn’t looking so good at the moment, but the business and its prospects for growth are looking as great as ever. With $48 million cash and no debt, the balance sheet is rock solid. 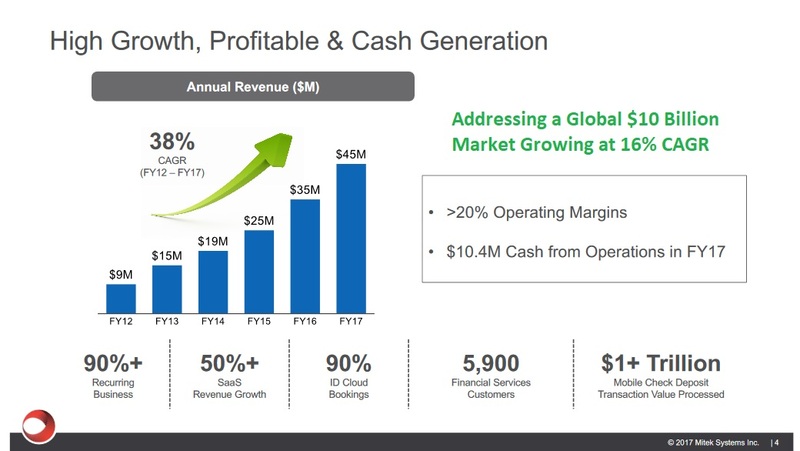 With 2018 revenue guidance of $58 million, Mitek is valued at 4 x sales (ex cash). That’s not a high price to pay for a growth stock in the sweet spot of “e-commerce”. This is a business model that’s close to minting money, roughly 90% gross margins. Watch the stock – I bet it bottomed today at the rising 500-day moving average (SMA), just like it did earlier this year. Nocks, one of Europe’s leading blockchain providers, reduced its new customer onboarding time by 98% (from 12 hours to 5 minutes!) 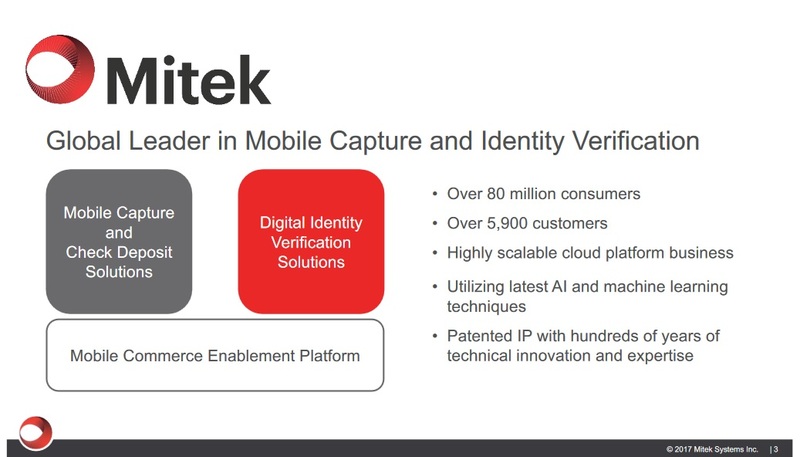 thanks to Mitek’s “Mobile Verify” solution. That’s a big deal! People don’t like to wait around online, and Nocks’ enrollment jumped over 200%. Final Thoughts – Mitek believes it possesses the world’s largest repository of “fake ID’s”. Its machine learning systems and AI learn from those fakes, so the company is getting quite good at catching the bad guys. Mitek will leverage its balance sheet to grow via acquisition – it acquired Icar Vision this year to maintain its dominant market position and competitive edge. In the technology space MITK is one of our top 5 picks.